I enrolled in a Craftsy class on Modern Quilts by Elizabeth Hartman. 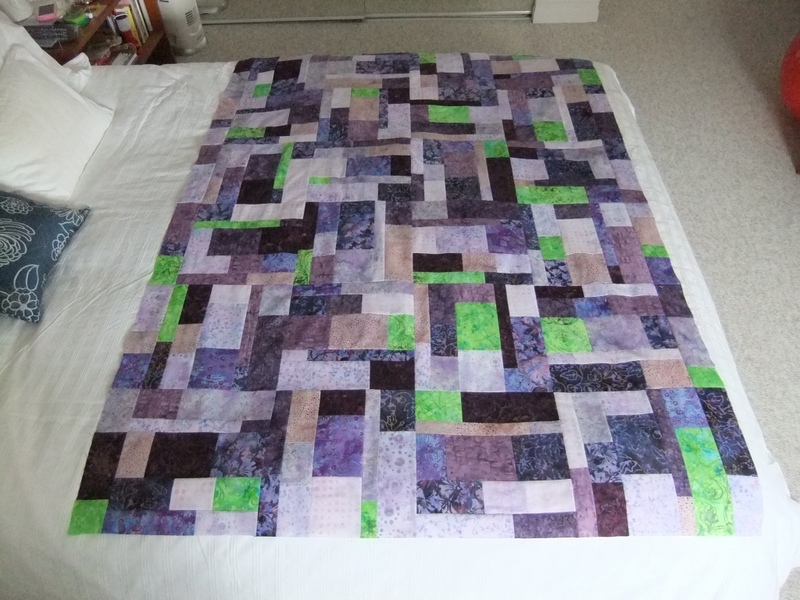 This idea was for a quilt made using a block structure but to have that structure not be obvious. Her quilt was done in greys with a yellow accent. I had this collection of quarter yard purple fabrics. I added the sharp bright green as a contrast. I made it lap size which required double the number of blocks (24) and I added a narrow border to each side to widen the quilt just a bit. However my modifications blend in so that you don’t see the border as a separate piece but as a continuation of the whole.